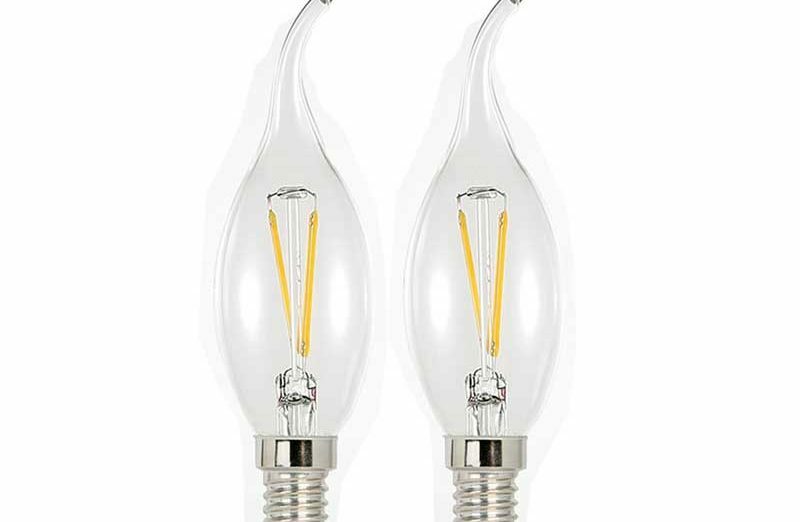 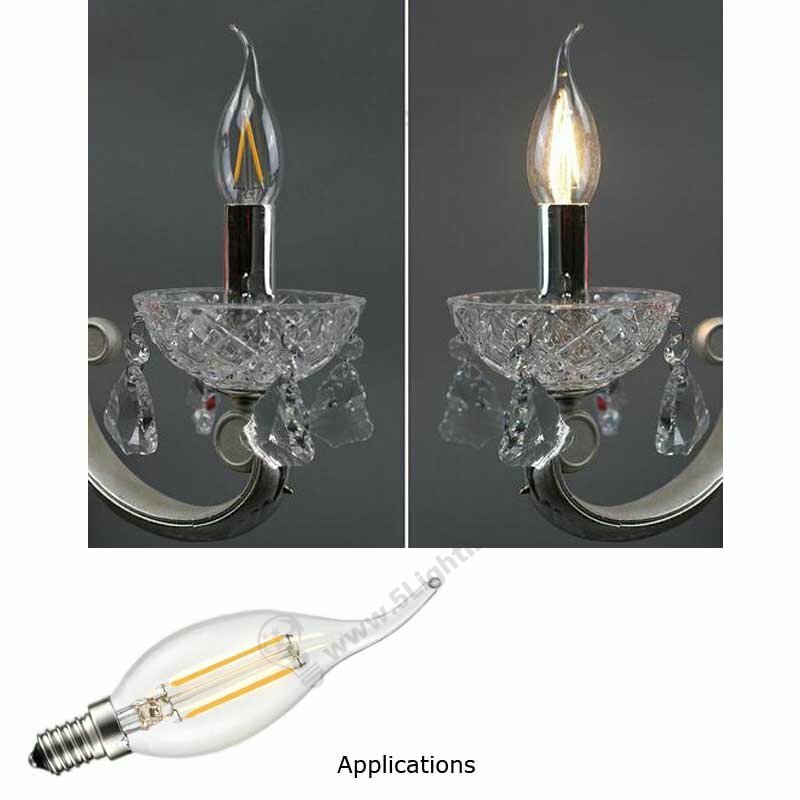 Dimmable filament led candle 2w ca10, E14 Filament dimmable candelabra light bulbs bent tip. 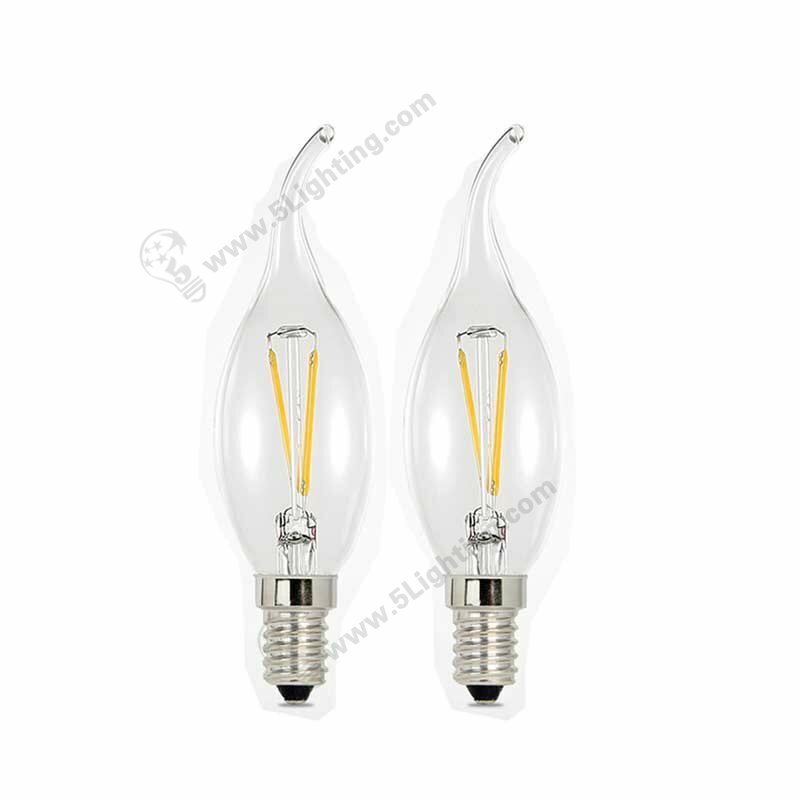 h): The dimmable filament led candle 2W offers CA10 bent tip and B10 blunt tip this two shape available for options. 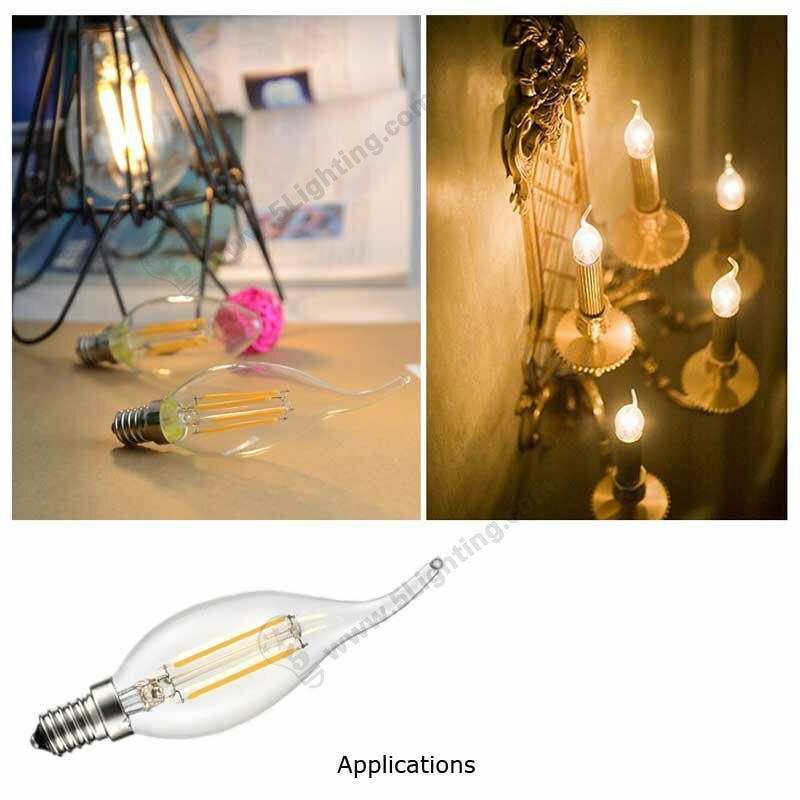 Factory direct sale this dimmable filament led candle 2w ca10 using new technology that designed by traditional candle bulb appearance, and then adopts LED bulbs as lighting source instead of traditional incandescent bulb, super bright that emits excellent brightness, our led filament candelabra light bulbs has been widely adopted in various kinds of indoor decoration applications. 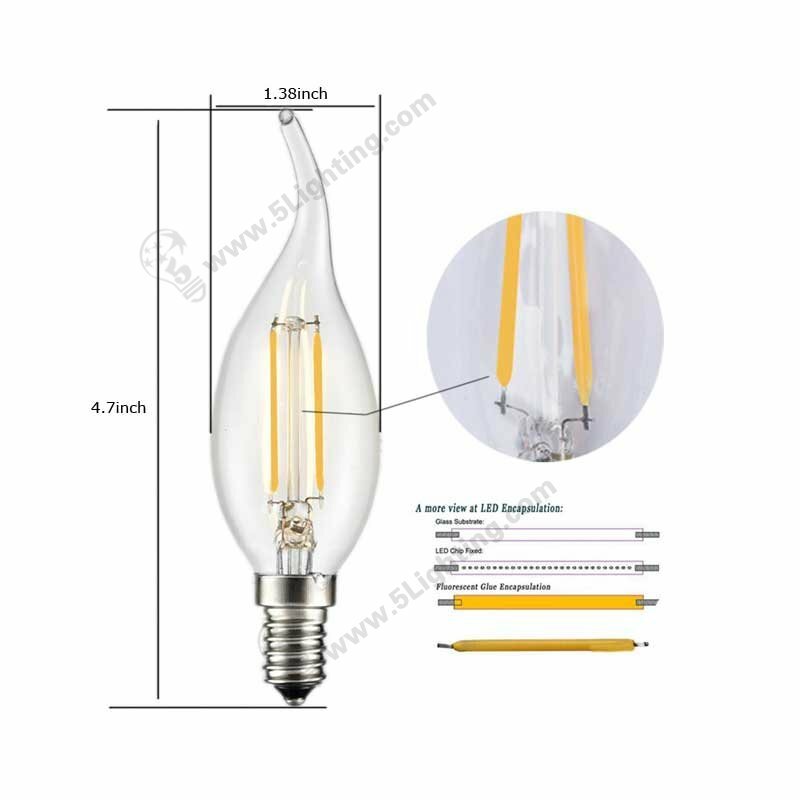 Good quality dimmable filament led candle 2w ca10 from 5 star lighting factory ! 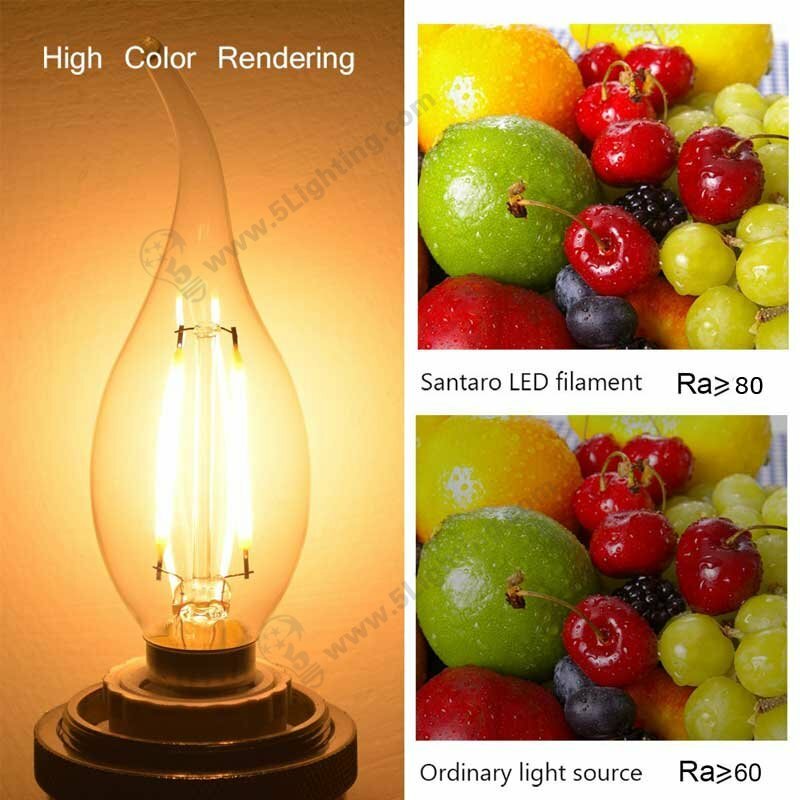 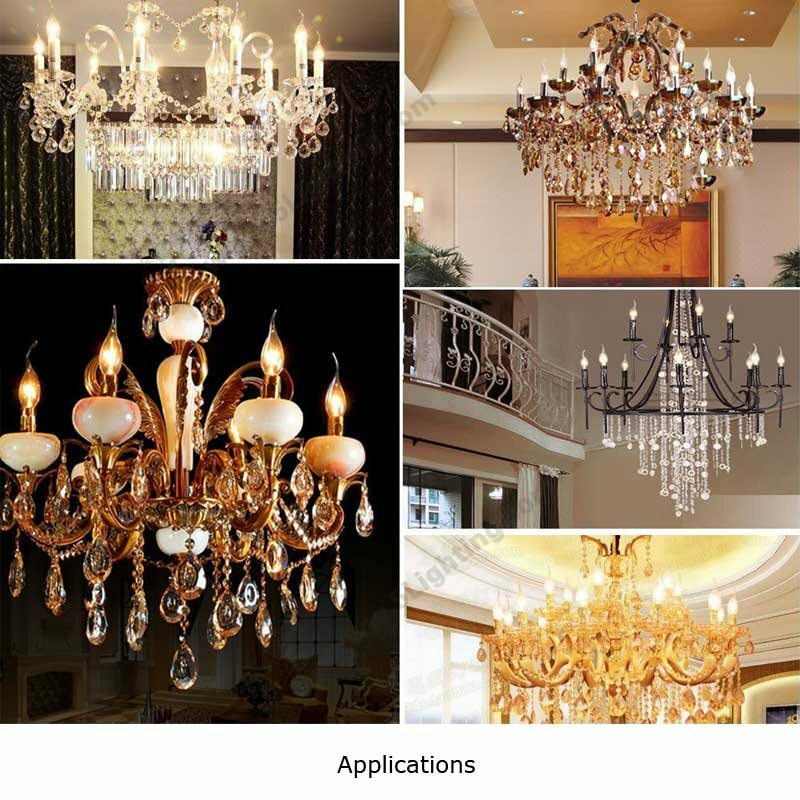 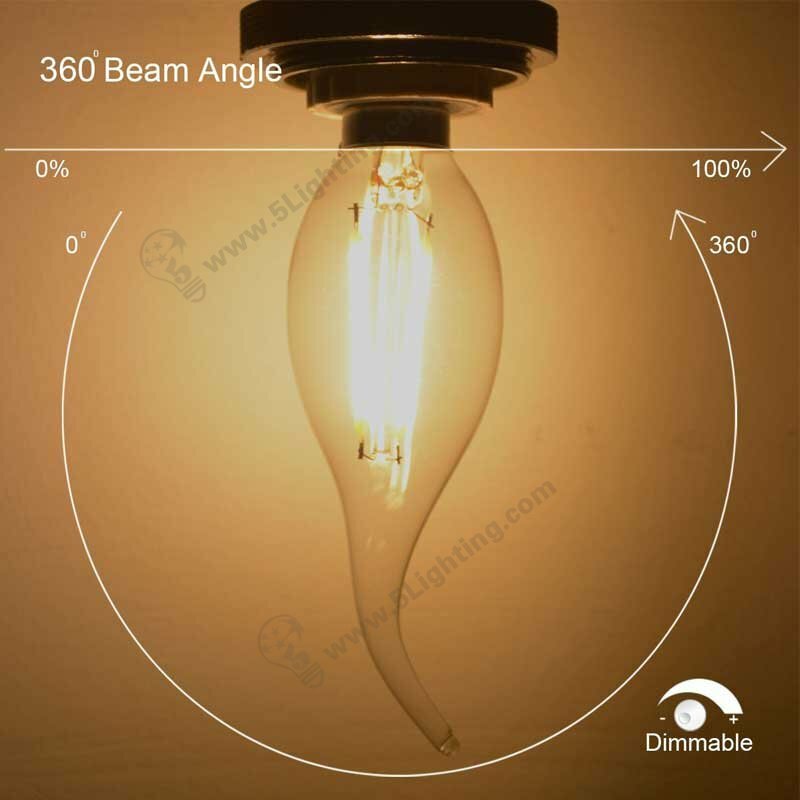 Dimmable Filament LED Candle 2W CA10, Dimming AC110 / 220V, 200Lm, E14 Filament candelabra light bulbs bent tip.